﻿	Money Saving Tips from Georgia Power Washing, LLC - Georgia Power Washing, LLC. Power washing a residential driveway or commercial parking lot can provide a lot of aesthetic benefits by removing dirt, mud, oil buildup, and other substances from outdoor flooring. But this cleaning process also offers an indirect benefit—it can help reduce your legal liability. Failure to regularly clean entryways and frequently traveled areas can lead to buildup of slippery substances. Mold and algae growths can even crack or warp paved surfaces, which leads to tripping hazards. These safety issues can expose you (and your customers or visitors) to big dangers. 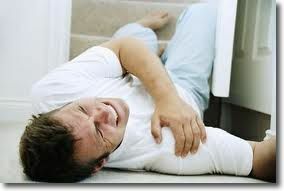 Slipping and falling is a very common reason people file personal injury lawsuits. These accidents cause injury and death every year and make up 65% of total work days lost in a year. Regularly sweep entryways and pressure wash them yearly, or whenever the buildup starts to become a hazard. While you can engage in concrete cleaning and deck cleaning yourself, this type of project can be time-consuming, physically challenging, and surprisingly hazardous. Consider hiring a professional power washing company to come out as needed (or on a regular basis) to ensure your outdoor areas are safe for pedestrians. Engage in other basic maintenance tasks, such as sweeping the outside deck, hosing off fresh spills, and putting up signs to warn customers and passers-by to avoid littering. This way you won’t need to take extraordinary measures to clean up spills and messes that have set and hardened. Use “wet floor” signs, absorbent mats, and anti-skid paint in areas that are prone to moisture and slippery conditions. Maintain a policy of cleanliness at your workplace. Performing these tasks will greatly reduce your likelihood of slip and fall liability. If you’re struggling to clean up grimy or oily surfaces, contact Georgia Power Washing, LLC at 678-954-2134 for all your power washing and softwashing needs in North Georgia, Metro Atlanta & Athens Areas.